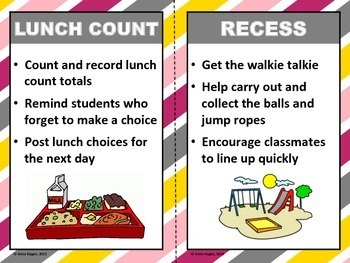 Improve accountability and enthusiasm for classroom jobs! 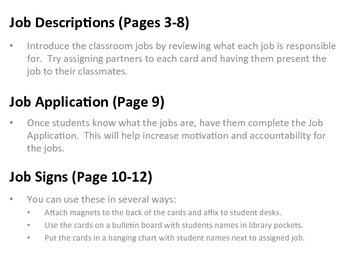 This EDITABLE product includes classroom job descriptions to help students better understand your expectations. 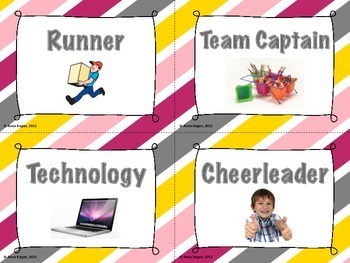 It also includes a Job Application so that students can show you what they want and you can pick the best candidate for the job. 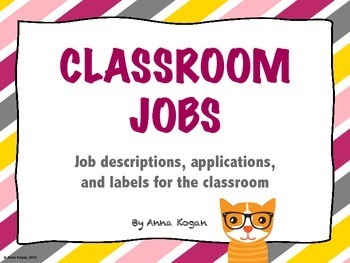 Finally, there are small job labels that can be used in pocket charts, on a bulletin board, or affixed with magnets to the students' desks. Please rate this product and email me with any questions! Enjoy!